I love this book by Michael Thomas! 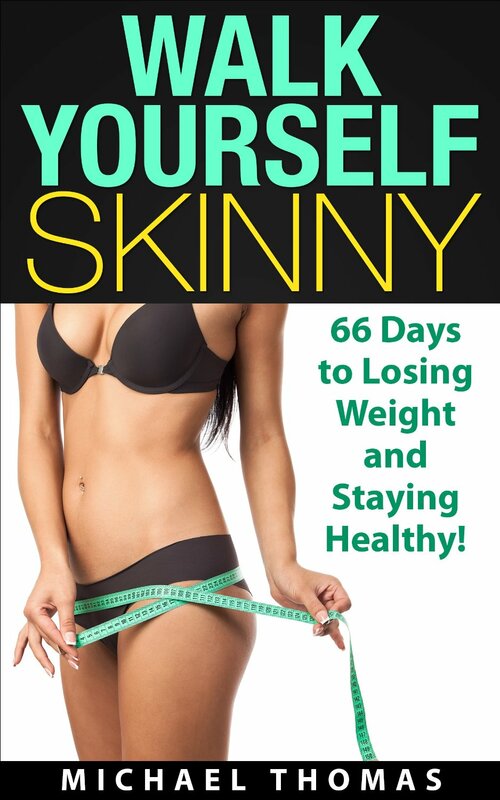 I seldom find a book that will answer all my questions regarding an exercise or diet plan, but “Walk Yourself Skinny” anticipated all my different worries and was able to address them easily. The book begins telling Michael Thomas’ story: he was a regular person who started gaining weight because of his sedentary lifestyle. He tells us how he felt but he also tells us how he lost all those extra pounds. Michael covers several subjects in easy to understand language: the benefits of walking; the way our body works; what are some good strategies (besides walking) to lose weight and many other things. He gives us a basic diet that can help us keep those calories under control. I don’t know about you, but I want a simple diet! I don’t want a plan with 20 weeks where I will have to learn to pronounce the name of some mysterious fish. Michael also gives us some good comparisons: For example, did you know that your typical burger and fries combo will cost you 13.6 miles to walk off? 13.6 miles! That is a number you want to keep in mind the next time you want to order that Big Mac. The book is very practical and brings value in every page, but probably the most useful part comes at the end, with the 66 Day Walking Plan. 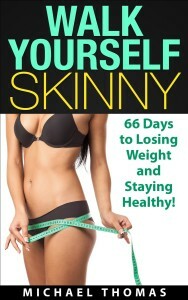 If you want to lose weight in a simple way, and you want all your questions answered, I absolutely recommend this book. Grab your copy in Amazon now! This entry was posted in book review, fitness, how to, Self Help and tagged fitness, Michael Thomas, Walk yourself skinny, walking on March 16, 2015 by Jose Luis Cortes.